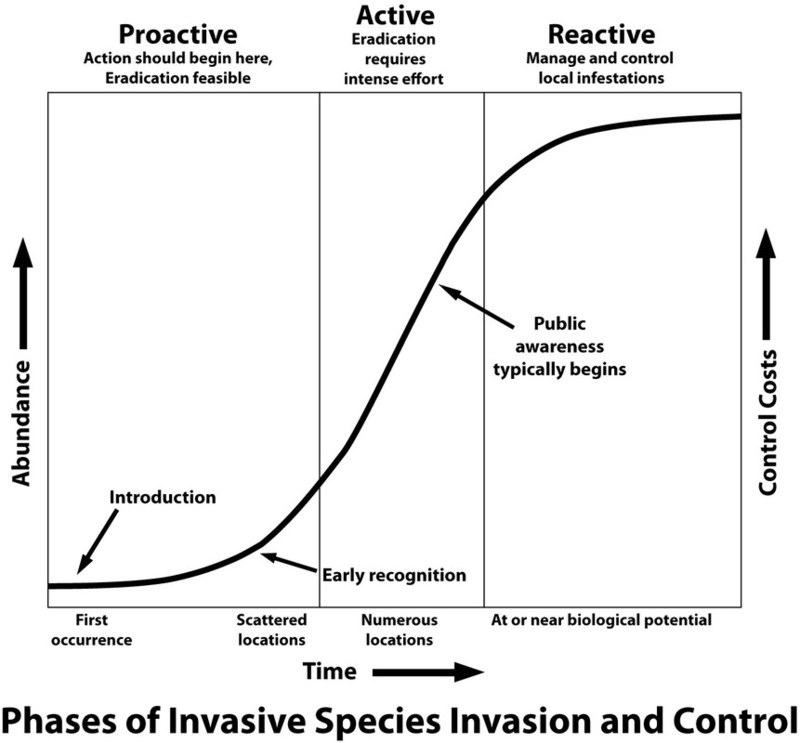 The first step in invasive species management is awareness of the problem. There are many, many exotic (that is non-native) species in our landscape that never become invasive. Sadly, historically their is not general recognition that a particular organism (plant or animal) is posing an invasive threat until the problem is already out of hand. By then eradication overall is not feasible and the cost keeping such invasives from further destruction of native habitats or recreational and aesthetic land value becomes very high. ﻿Find out what threats are looming if incoming biological invaders aren't stopped now! Learn to identify the most threatening current and potential invaders in our region & help us catch them before their spread takes off! Gardeners sometimes inadvertently act to introduce or spread invasive species. Click to explore ways to avoid spreading invasives while beautifying your landscape. Cleaning recreational and work equipment on site can go a long way in curbing the spread of invasives.